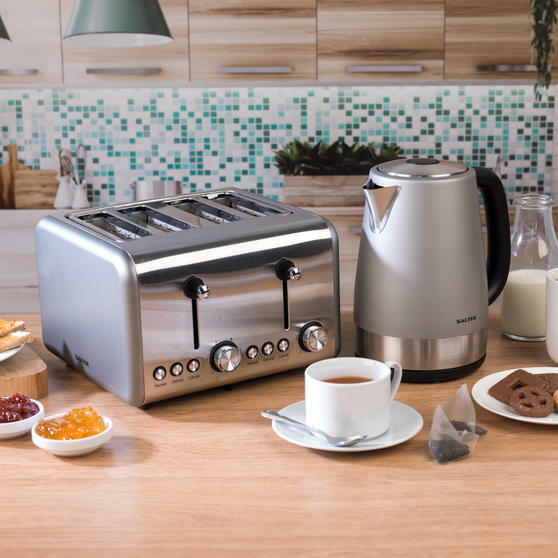 Combining everyday practicality with beautiful design, this Salter titanium Polaris kettle and toaster set is from the Salter Metallics Collection. 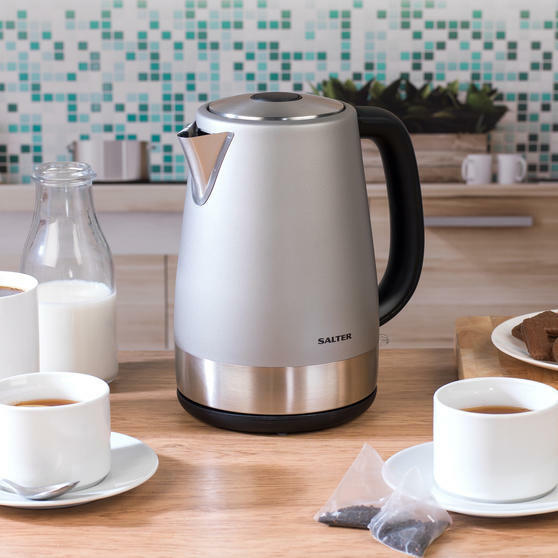 Safe and easy to maintain, the kettle features a boil dry sensor, Strix controller and a removable, washable anti-scale water filter. 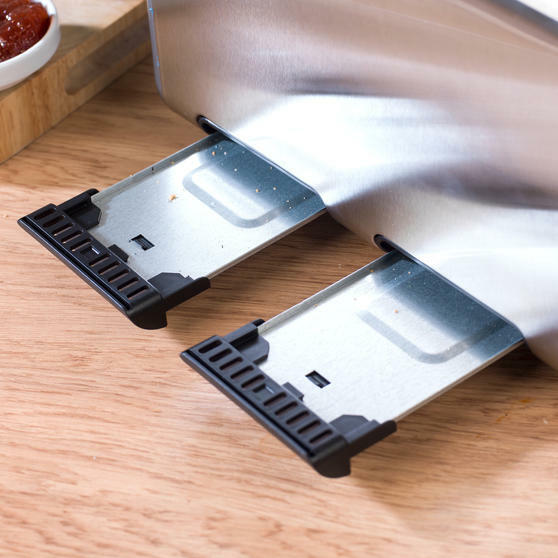 While the toaster features an indicator light and removable crumb tray for simple use and easy cleaning. 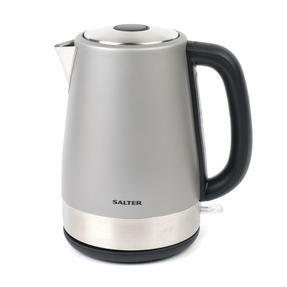 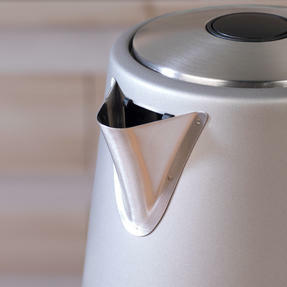 The kettle even features a cordless design with a 360°C swivel base, great for both left and right handed users. 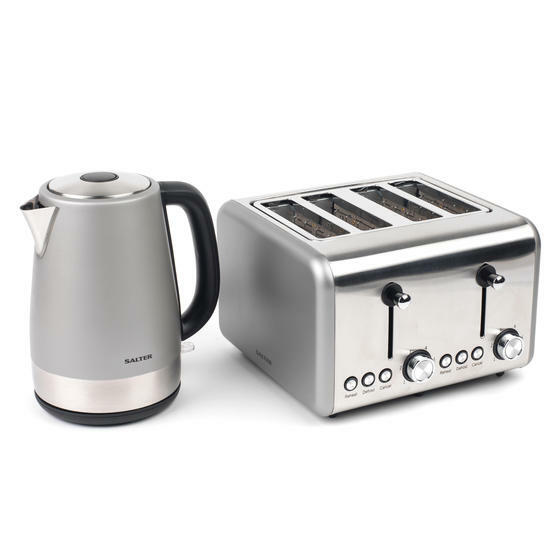 This Salter Polaris Kettle & Toaster Set features striking metallic titanium finishes, for a stylish design to match any kitchen décor. 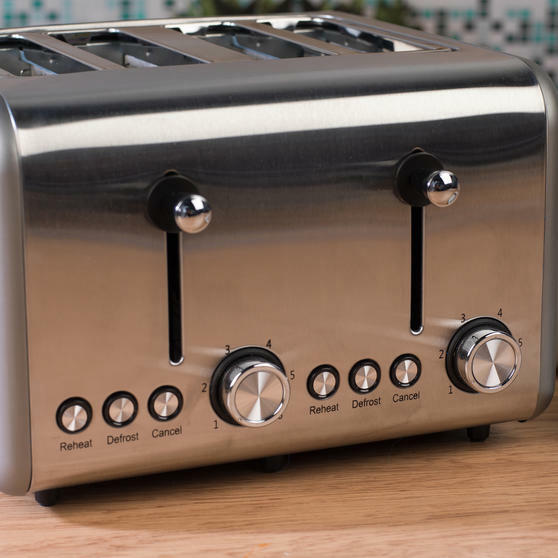 With defrost, reheat and cancel functions and 6 levels of variable browning control, use the toaster to make perfectly toasted snacks. 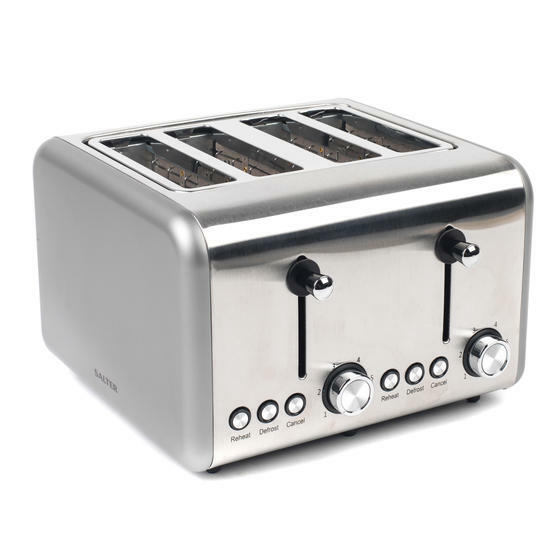 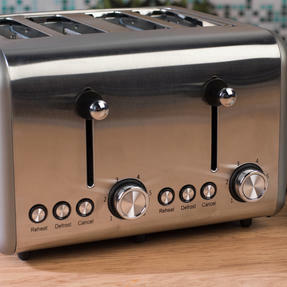 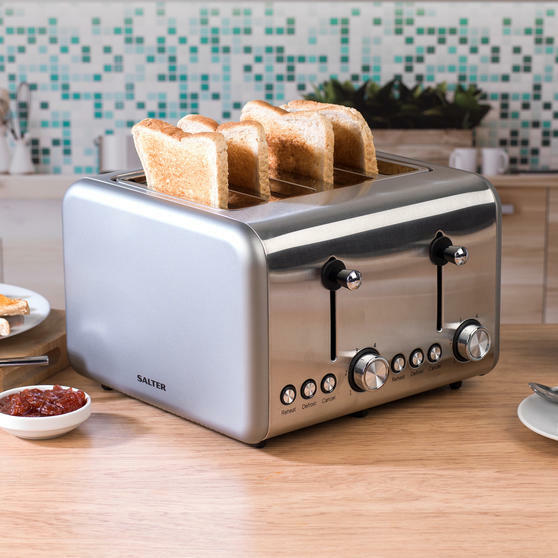 The 850W 4-slice toaster features wider slots to accommodate toasting thicker slices, bagels, teacakes, crumpets and more.